Zebra DS3678-SR offers unmatched durability, superior scanning performance and unrivaled manageability, while delivering lightning-fast capture of any 1D or 2D barcode printed on a label in virtually any condition, or displayed on a screen from near contact to nearly 5 ft/ 1.5 m. The ultra-rugged design is practically indestructible - ideal for punishing environments. 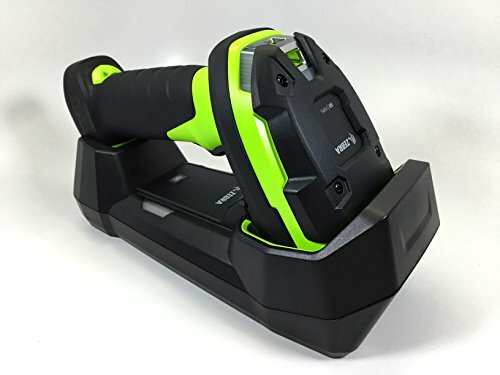 And when it comes to cordless technology, the DS3678-SR is in a class of its own, with a complete solution that includes a sealed rugged cradle, a smart battery and Zebra's Wi-Fi Friendly Mode that prevents interference with your Wi-Fi network. DS3678-SR--the unstoppable performance you need to maximize workforce productivity and throughput in your operations.